The name Ynnis Interactive might seem familiar to you already, since they were the publisher for the newest Mysterious Cities of Gold video game. If you haven’t heard of them yet though, here’s what you need to know: they’re an indie video game studio based in France, and they have a new Kickstarter campaign that has just gone live. The game is called Shiness, and it’s a fantasy-adventure RPG that promises “unpredictable storylines and frenetic gameplay,” according to its Kickstarter page. Players will set out into the Sky Islands of Mahera with a party of five characters, each with their own unique set of abilities that can be used to solve puzzles as the game progresses. There are three races in the fantasy world of Shiness: humans, sheiks, and waki. On top of the world itself, a language was created just for the world of Shiness by post graduate students of linguistics at the University of Bordeaux. Battle takes place directly on the main map, allowing for a more immersive battle experience inspired by shonen manga like Dragonball Z and Naruto. Fighting is done with a combination of different kinds of magic and martial arts rather than specialized weapons, and an “arena” can be summoned that will lend the battlefield the power of a particular element for the duration of the fight (air, water, earth, fire). This can help players and harm foes, but use the ability recklessly and you might be giving your enemies a boost as well. Players can take on quests throughout their travels. Depending on their method of finishing each quest (there are multiple ways to take on even simple tasks), the player’s in-game reputation will be affected, changing how NPCs interact with the characters. There’s a lot more to the game as of right now, including samples of the soundtrack, voice actor information, character profiles, and a lot more information on the world of Mahera and the game’s mechanics. To learn more, you can check out Shiness‘ Kickstarter page here. It’s planned for a PC and Mac release, but PlayStation 4 and Xbox One releases are possible goals for the future (as listed on the game’s official website). 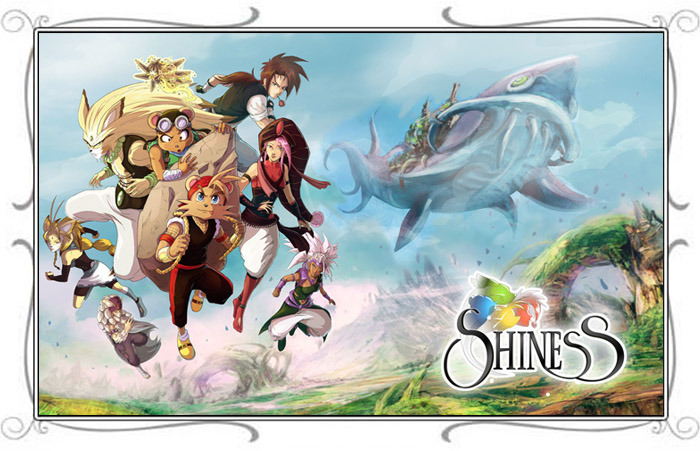 In the meantime, check out some of the images for Shiness.